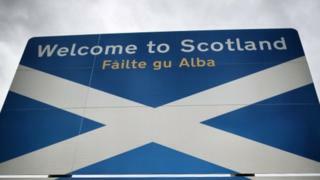 A Westminster committee is to examine the effectiveness of UK immigration policy in Scotland. The Scottish Affairs Committee has launched an inquiry into how well the current system meets the country's needs and how Brexit could affect it. Immigration is reserved to Westminster, but Scottish ministers want powers to be devolved so a Scottish-specific policy can be developed. UK ministers argue that this would create complications and harm business. The issue has been raised repeatedly in the wake of the UK's vote to leave the European Union, with the Scottish government arguing it needs a more tailored local approach to help meet Scotland's particular demographic challenges and employment needs. The Westminster committee said its inquiry would focus chiefly on Brexit and the likely implications for the free movement of EU nationals. Committee chairman Pete Wishart said the aim was to establish "what Scotland's future migration needs will be and how these can be met". The SNP MP said: "Scotland is proud to be a multi-cultural nation whose population is made up from people all across the world and it is widely acknowledged that continued migration from EU and non-EU nations is essential to our future success. "In the last parliament, this committee repeatedly heard that the current immigration system doesn't meet the needs of Scotland and Brexit raises new questions about how easy it will be for EU nationals to move here in the future." Cross-party committees both at Holyrood and at Westminster have previously called on UK ministers to "seriously consider" handing greater powers to the Scottish Parliament. Leave campaigner and then UK Justice Secretary Michael Gove also claimed during the EU referendum campaign that a Brexit vote could see Holyrood gain "a greater degree of control over immigration policy". However, such a move was ruled out by Home Secretary Amber Rudd in February, who said that applying different rules to different parts of the UK would "complicate" the immigration system, "harming its integrity and causing difficulties for employers who need the flexibility to deploy their staff over the UK".